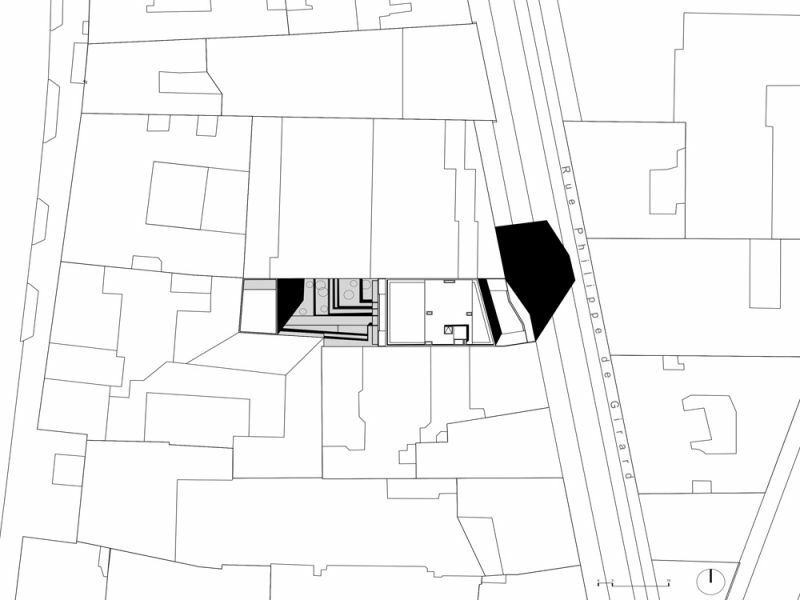 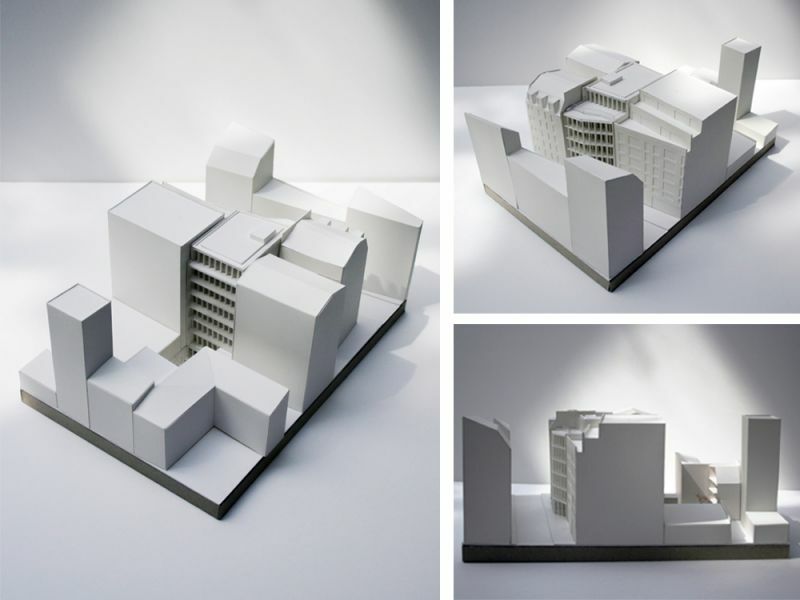 The project manages to make the best of a long and narrow plot of land and includes a residential apartment building (7 floors) on the street side and an independent house in the back (4 floors). 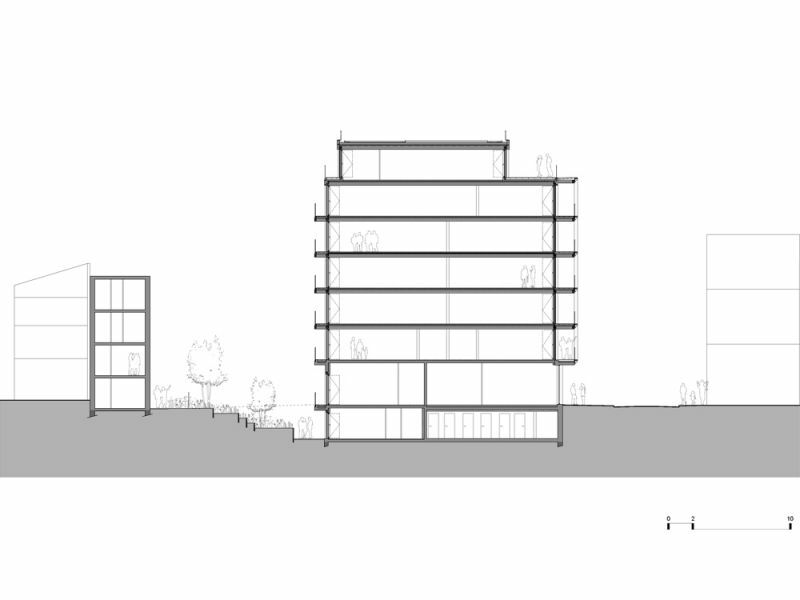 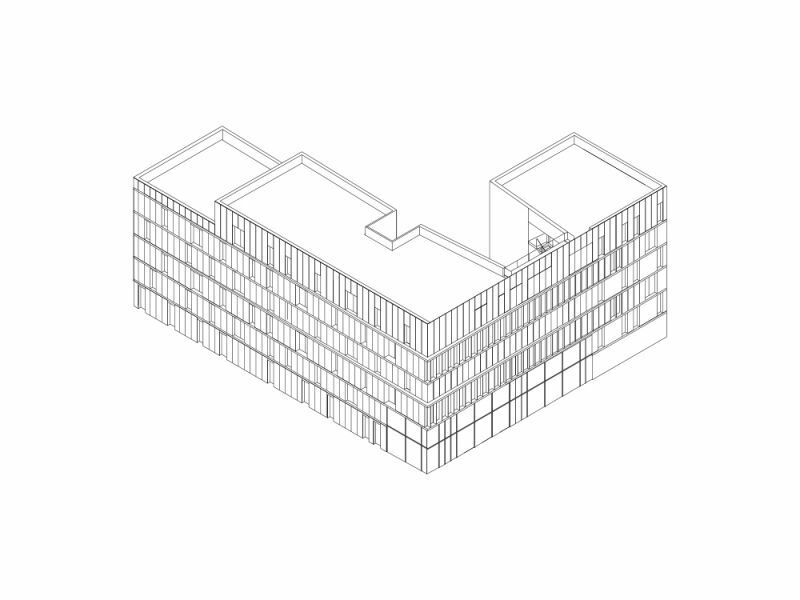 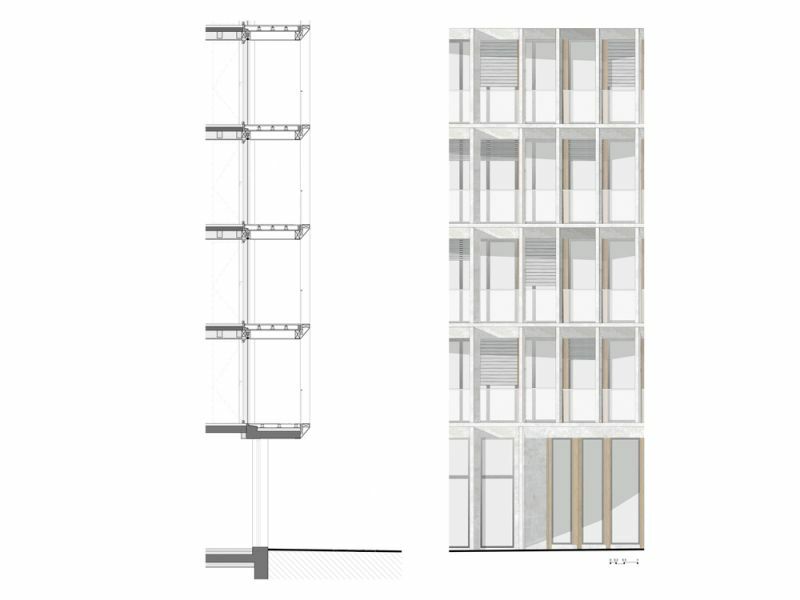 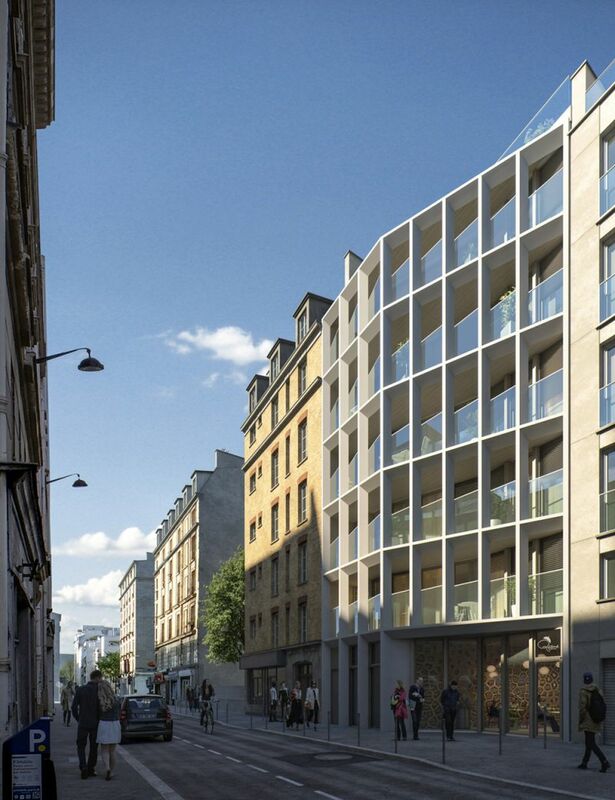 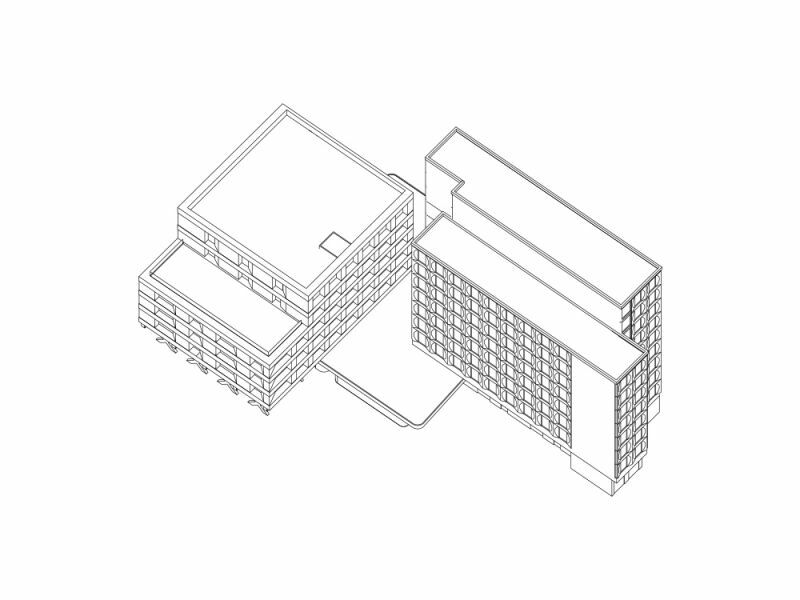 The difference in alignment between the neighbouring buildings was resolved by a slight angle in the front façade. 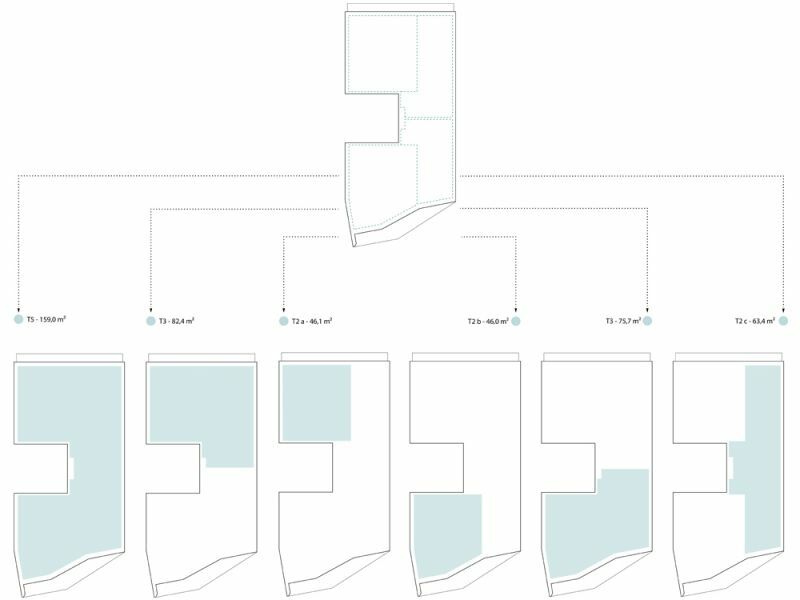 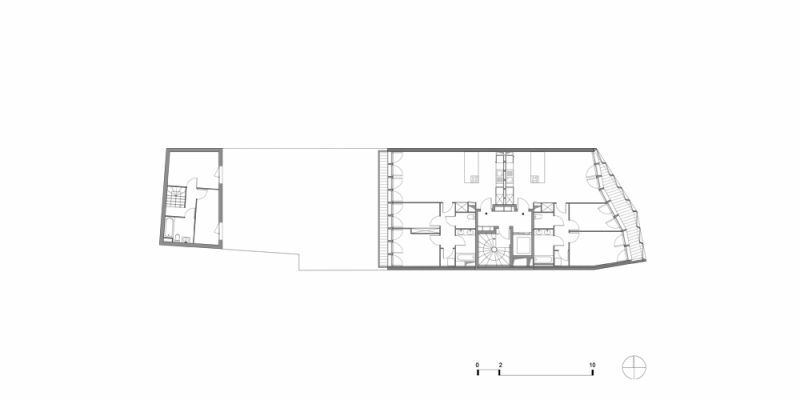 Versatile and easily reconfigurable, the building features open plan layouts on each floor, so residents can partition their allotted space as they wish (from 2- to 5-room or loft-style flats) The modular structure – mainly wood (posts and slabs) – minimises the impact of construction on neighbours and offers greater flexibility in layout configuration. 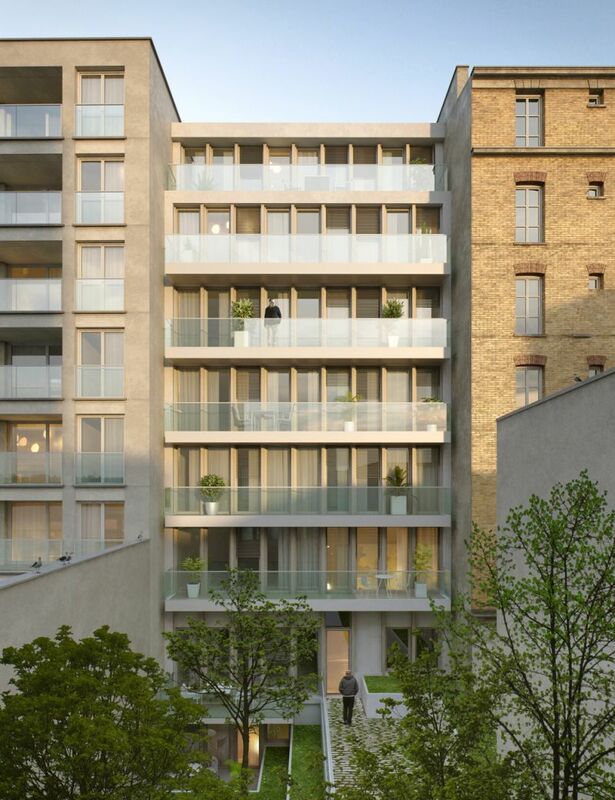 This solution provides large glazed surfaces (on each façade), apartments flooded with light and sheltered by balconies on both garden and street sides.